lot # 80 - Medals, Tokens. 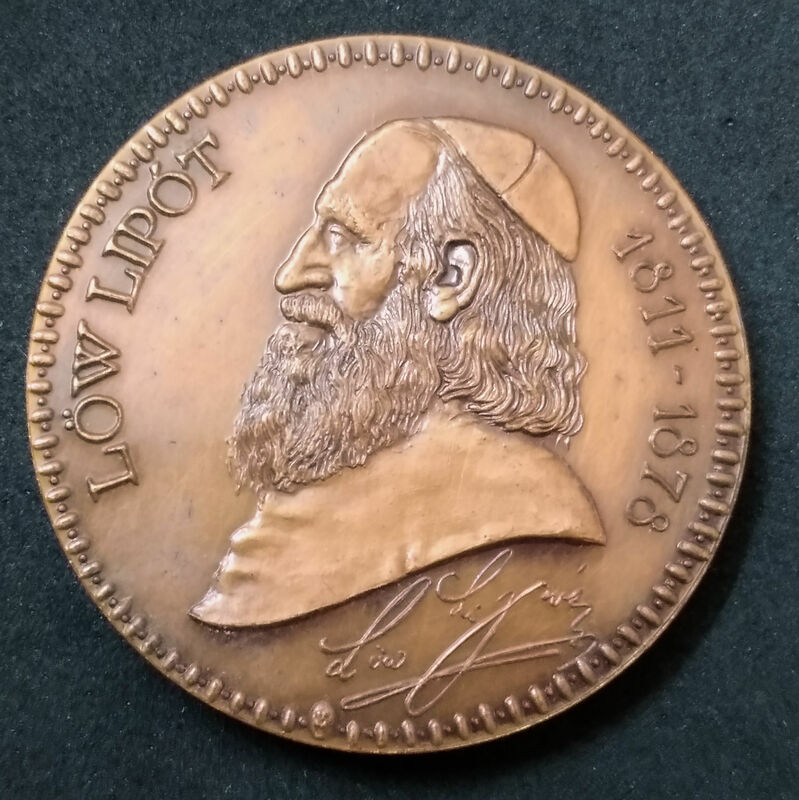 In memory of Hungarian Jewish thinker and historian Leopold Leff, late 19th / mid 20th century. Leopold Leff was a descendant of the Maharal of Prague and adopted the Conservative way. He served as rabbai in several cities in Hungary and became the spokesman for the 'maskilim' and 'neologists'. Later in his life he was denounced by the Orthodox rabbis and Judaism and became Reform. Front: Leff's portrait, signature and date of birth and death. Back: A painting of the Great Synagogue of Szeged (Hungary) and a dotted qoute: "on three things the world is standing, Torah, working and philanthropy". Lot 70 - Medals, Tokens. - yigal avrahamy Auction 03 - Coins and Banknotes of Israel and Palestine, medals and tokens. Lot 74 - Medals, Tokens. - yigal avrahamy Auction 03 - Coins and Banknotes of Israel and Palestine, medals and tokens. Lot 4 - Medals, Tokens. - yigal avrahamy Auction 03 - Coins and Banknotes of Israel and Palestine, medals and tokens. Lot 26 - Medals, Tokens. 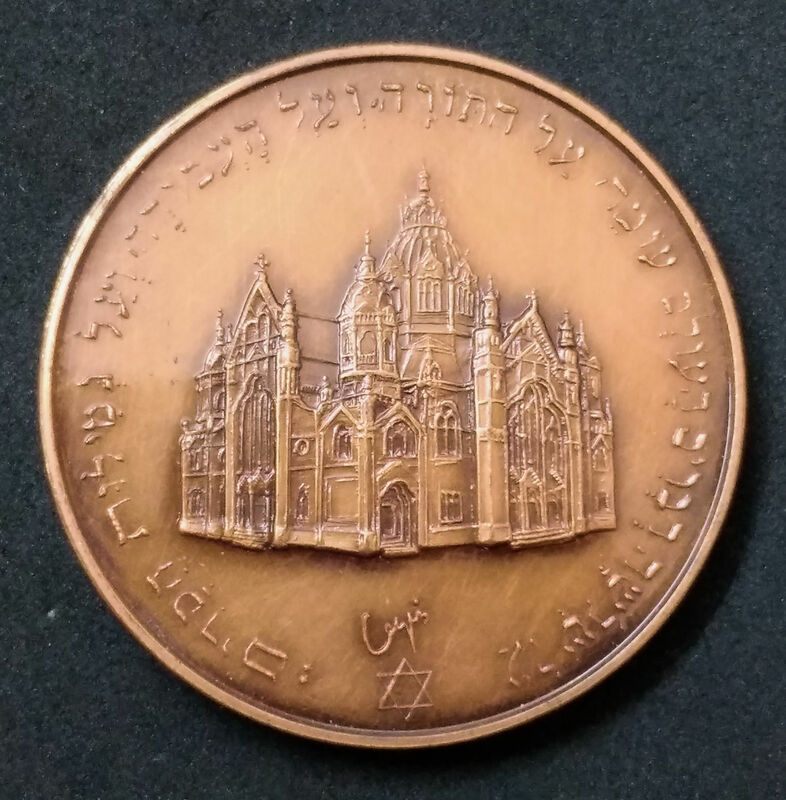 - yigal avrahamy Auction 03 - Coins and Banknotes of Israel and Palestine, medals and tokens.